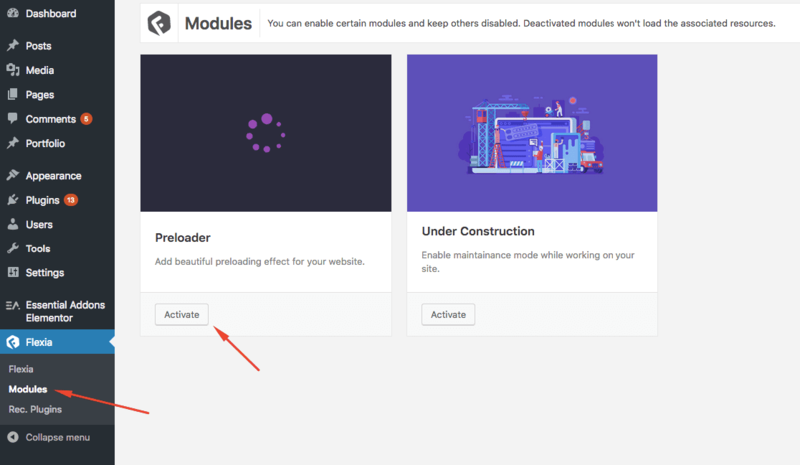 You will see the preloader on your site if you load any page. It’s really easy to customize the prealoder. 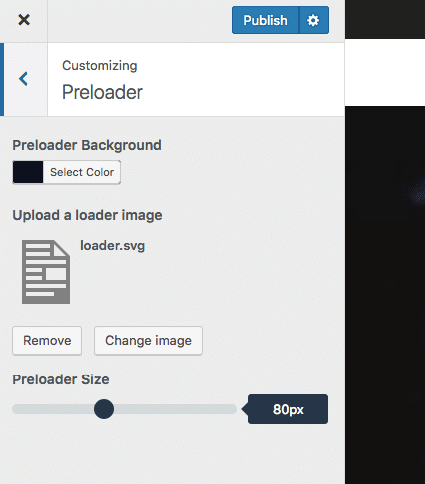 You can set the background color and use your own preloader image (SVG or GIF).